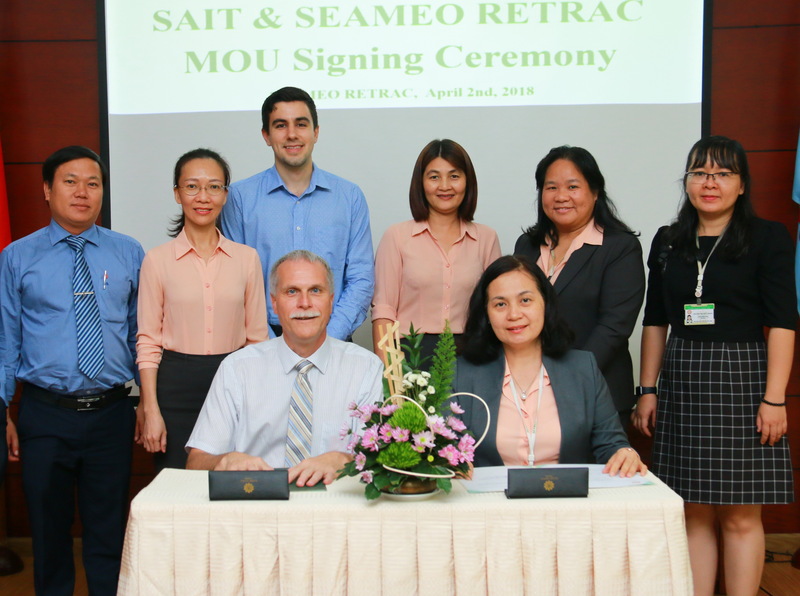 On 2 April 2018, SEAMEO RETRAC and the Southern Alberta Institute of Technology (SAIT) solidified a partnership to co-develop a training program for Vietnamese university leaders to enhance their awareness of policies and practices in Industry Engagement. Industry Engagement is the process of aligning an institution’s admissions, curricula, research, internships, and career services with current industry needs to better prepare recent graduates for their future careers. Enhanced industry engagement is a critical process for Vietnamese universities aiming to align their curricula with industry needs, develop effective professionals, provide students with meaningful internships, and offer students effective career counseling. Effective industry engagement trains more employable graduates and increases the productivity of Vietnamese professionals. SAIT is a leading capacity builder in industry engagement experienced running similar projects in rapidly developing Asian education systems.